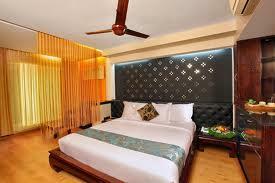 The River Retreat Hotel is one of the greatest hotel in Kerala which has complete facilities and quality services. Do you want to know the details of River Retreat Hotel? Read here about facilities, services and contact details. The River Retreat is an ultimate gateway for all ages that can experience a relaxed mind set here. It is the summer palace of Maharaja of Cochin was the River Retreat is 3 star heritage Ayurveda resorts preserving the illustrious part of palace. At River Retreat they offer a chance to explore the calm and serene environment. The former summer palace is now thousands of people's choice to stay close to nature and rejuvenating effect of nature which comes under budget. They have Skilled and dedicated team of masseurs with rich experience and a healing touch to feel comfortable and relaxed. The River Retreat is mostly liked by many peoples and it is fully furnished with great values. The Interior and exterior are good enough. Here in River Retreat we can have an Ayurveda therapy in lake view Dining room for families who can chat over there and enjoy for whole night. The River Retreat is mostly liked by Honeymooners. Car Hiring is also available for guest to visit some tourist spots around the River Retreat Doctor-on-call facility also available for guests. Currency exchange is also available in River Retreat. The Tariff plans are starts from Rs.2000-15000 and all rooms are furnished with both A/C and Non A/c Rooms. An Antique decorated room gives us immense pleasure to relax. Persons above 12 years are considered to be adult and full tariff rate is applicable. Refreshing Ayurveda treatments and Yogasanas also taken here, so come and enjoy the Breeze of Natures Beauty once. The River Retreat is got with its natural beauty over the lake and the views are fascinating for everyone who wants to admire Kerala. Here Many facilities are available for guests with moderate cost and guest can experience a pleasure full atmosphere overall in the River Retreat. Overall the views captured here are most memorable and can able to hide it from others. Here they arrange a visit to Guruvayur temple and many tourist spots and The River Retreat is also called as Honeymooners Spot And people will surely like this place if they visit. The atmosphere overall tends every people to come again and again without fail and they are not able to leave the place that much easily. Here there is an Elephant Yard At Guruvayur Zoo or Trissur which is the most fascinating view with animals and view of lake, There we can trekking in the Sholyur wildlife sanctuary, Border Hiking and more activities are available in the River Retreat. Elephant rides which is mostly liked by peoples and it is available inside the sanctuary. Evening visit to Malampuzha Dam And more .Windy walk and clouds walk also activities which are mostly welcomed by many. The Shopping facility is also available to get natural spices and minor forest produce. The River view also one of the Fascinating thing to enjoy in the Both Day and Night Times.